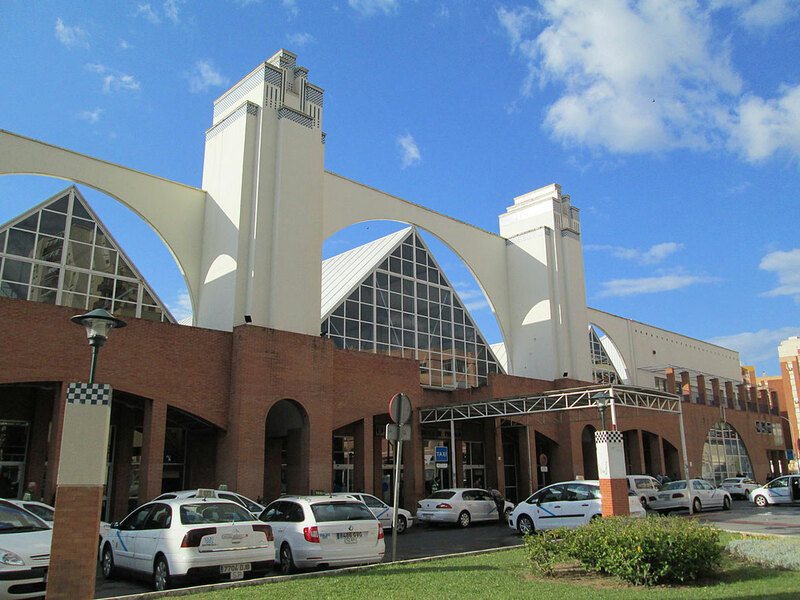 The bus station in Malaga is located in the centre of the city at 1, 5 km from the historic centre and the cruise terminal at the port of Malaga. Thanks to recent improvements in infrastructure, the bus station is now connected to the train station María Zambrano, located opposite the street. From there leave AVE high-speed trains to Cordoba and Madrid, long-distance trains, suburban trains to the most important centres of the Costa del Sol and Málaga International Airport, as well as the metro to the centre of the city. The bus station offers a large number of regular services to all tourist resorts of the Costa del Sol and many Andalusian cities and municipalities, and other national and international destinations. From the bus station there is also a bus service to the international airport Malaga (No. 19), but we must bear in mind that it is not a direct transfer, but an urban bus getting quite filled up with passengers, which is a drawback if traveling with suitcases, plus it takes some time due to traffic. We recommend using the commuter train running from María Zambrano, and reaching the airport in just 15 minutes. Maybe you are looking for a private transfer from the port of Malaga, the bus station, train station or Malaga airport to your final destination or vice versa. The bus station in Malaga is located in the centre of the city at 1, 5 km from the historic centre and the cruise terminal at the port of Malaga. Are you looking for a minibus from Malaga? These are our bus prices.